Ozuna's does more than painting. We also repair and do new Stucco construction. You need your stucco installed by a professional. When you call Ozuna’s Painting, that's exactly what you get. Because we don’t just offer stucco services, we have stucco specialists. Improving your property’s value should be an investment, not a hassle. Our stucco professionals have the experience to install your stucco right the first time. Stucco is a durable and attractive option to give your walls a textured finish. But poor workmanship can make the stucco investment less worthwhile. That’s why at Ozuna’s Painting, we deliver the quality you pay for. Our professional team members are dedicated to providing you with only the best service. You won’t get a handyman who just knows the basics of stucco. 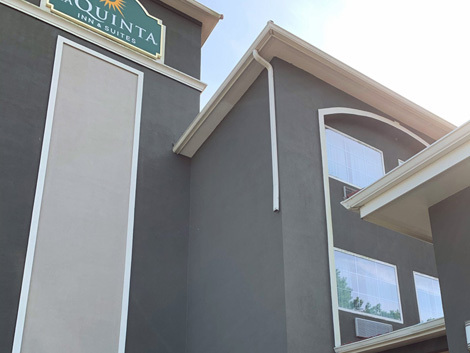 Ozuna’s Painting only hires experienced stucco professionals to install or repair your stucco to satisfaction. We can also recoat existing stucco. Give your home or business a facelift. Have the experts at Ozuna’s Painting restore your stucco to like-new condition. We use both new and old plaster applications. We repair cracks in stucco using the latest products in the market not used by our competition. There is no job too big or too small for Ozuna’s Painting. 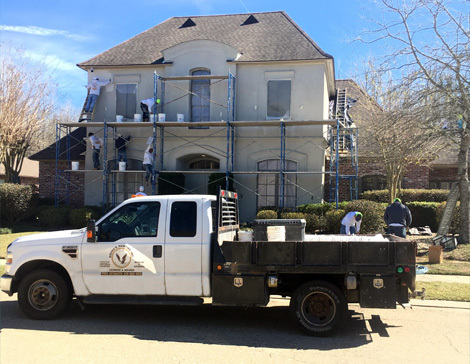 Get the best stucco Baton Rouge has to offer. Call today for a free estimate!